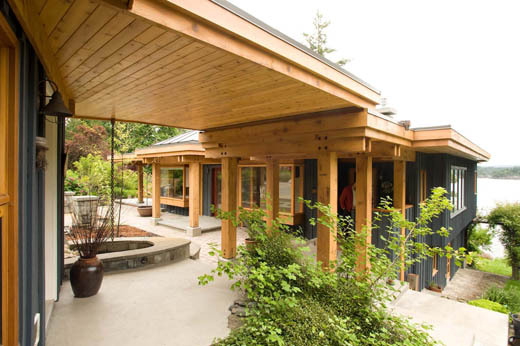 Reducing energy consumption in this old drafty home initiated this award-winning renovation. "It just feels good to be there" is its strong welcoming presence. Taking full advantage of the location, the new windows open the warm inside to the beautiful water and garden views. The extensive outdoor roofed area makes the walk between the house and studio a perfect transition. 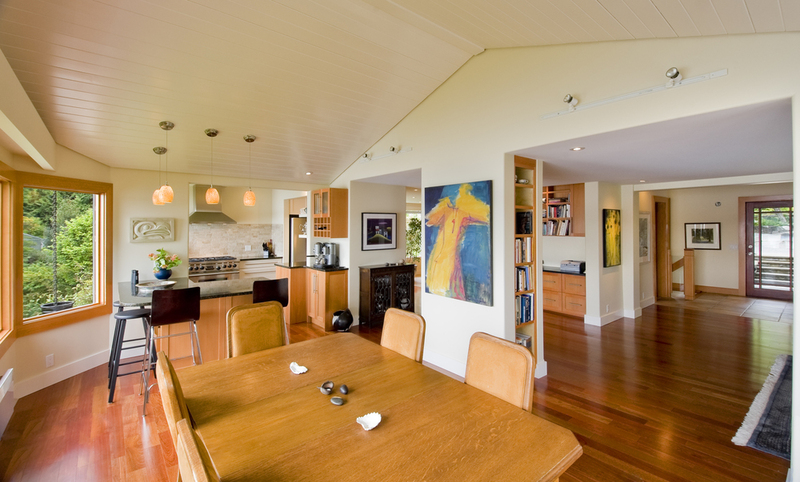 The interior was modernized by removing walls and installing new finishes to create a comfortable, open living area. And the practical side meant better insulation for reducing energy consumption.